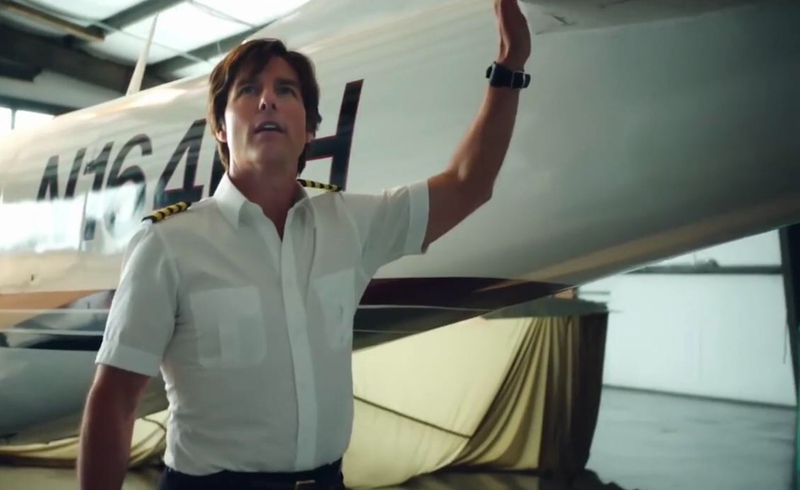 Tom Cruise is cocky as Barry Seal, in all of the pilot’s true or written-for-the-big-screen’s bravado, brillance, cunning and culpability. 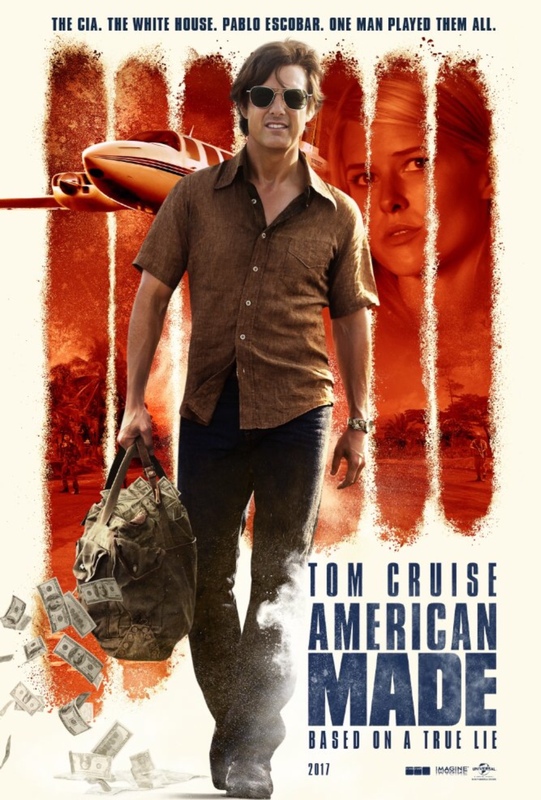 American Made, as directed by Doug Lyman from a screenplay by Gary Spinelli, is a taken-from-the-1980s adventure that spins fast and furious over the skies that span the U.S. south and foreign fields that yield illegal crops and riches and into the lives of the people that control them. Cruise as Seal is at the center, the star of the whole, sloppy mess, a whopper of financial excess and political corruption that will make those of a certain age sit back, startled all over again. Seal starts this 1 hour, 55 minutes as a regular airline pilot with a pretty wife and a small family with regular needs. But when he’s somehow signaled by clandestine political operatives as a special type of man behind the controls of a plane needed to haul stuff and keep secrets. Barry would get paid for his work and his silence. Things snowballed. Soon he’d be dumping cash anywhere he could. Yes, even burying it in his backyard. His wife had to know. She hated the new “job” at first, detested the move that accompanied bumps in the road, but, yeah, the riches were rewarding. Her dumb brother saw an opening. So did the local law. The flying scenes are pretty amazing. Cruise handles them with aplomb, bringing back images of his days, yes, back in those 1980s, when he most famously played an Air Force pilot by the name of Maverick. Well, Barry Seal sure seems like one heck of a big talker and fast thinker as imagined for this telling. His piece of the political puzzle truly amazes. Until real life caught up. Tom Cruise is doing the same movie over and over again with different titles. He hasn’t done anything interesting in the past 10 years or so. Thanks for sharing your view, Tony. he is always the perfect actor for these kind of films. sounds like the guy he was playing truly lived a wild life. It’s a wild spree for sure, Beth. Sounds like a maybe for the growing list MBM. I haven’t had enough bad weather days to get my movies caught up!